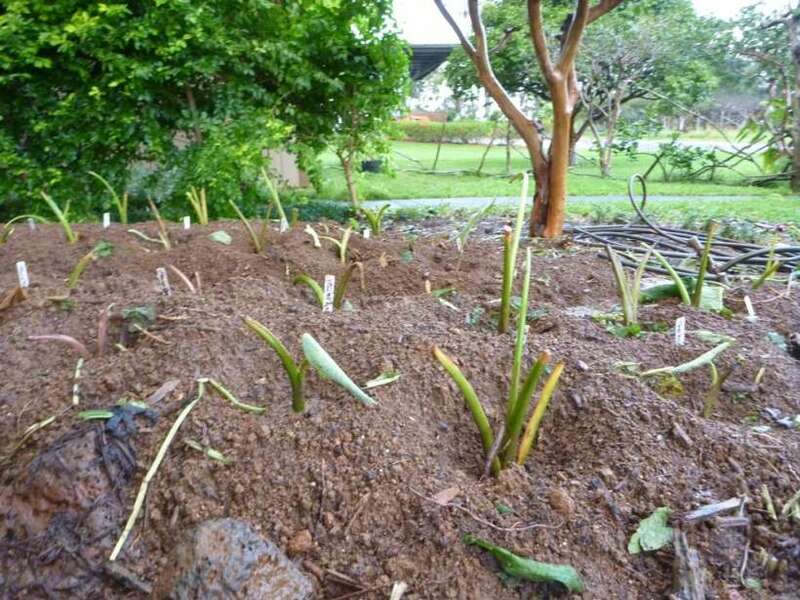 Yesterday Common Ground received an extensive kalo (taro) collection from Paul Massey, who teaches our Saturday sustainable gardening course, runs Regenerations Botanical Garden in Kalihiwai, and actively propagates and shares a diverse collection of perennial plants that will be critical to Kaua’i’s long-term food security via a monthly Seed Exchange. 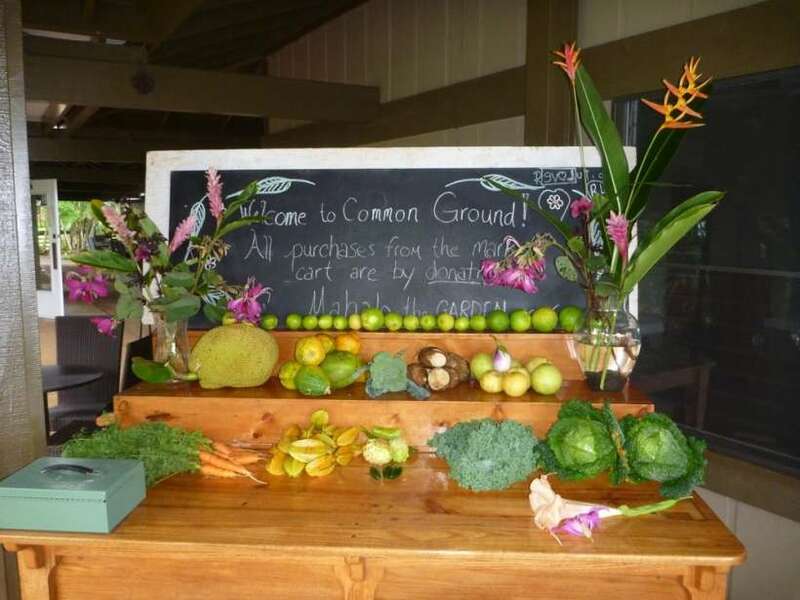 Sunday mornings at Common Ground just got even better! Come for Carol Dumeyer’s 10AM yoga class, brunch with live entertainment, and now for some garden fresh fruits, veggies and flowers! 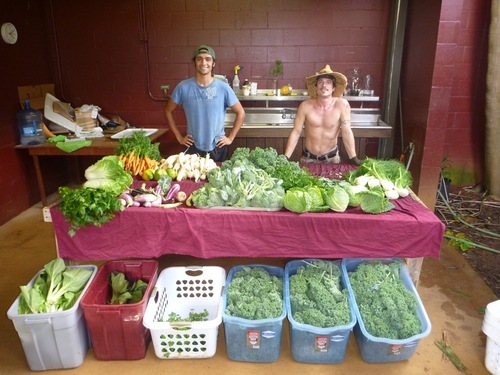 Today, Mark and Matt harvested 157.28 pounds of food for Common Ground’s Garden Cafe restaurant in Kilauea, Kaua’i! 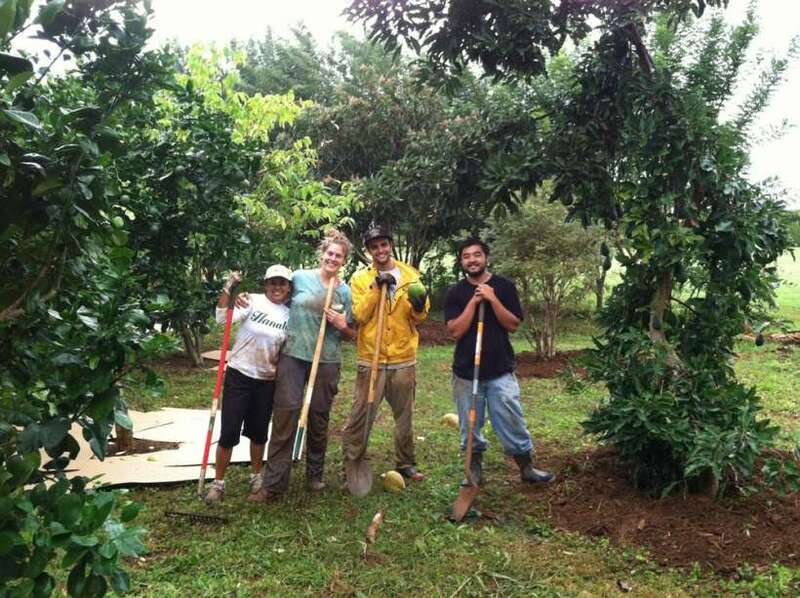 A little rain couldn’t keep us from sheet mulching 30+ fruit trees at Common Ground owner Chris Jaeb’s property. The landscaping and garden crews collaborated this week to get a ton of work done; take a look at the results from Friday.